Holidays offer an opportunity to enjoy timeless traditions with family and friends. These celebrations usually include copious amounts of food, special decorations and fun events that remind us of carefree times when we were younger. Such is the case with my memories of the Harvest Festival. Since Thanksgiving is an American holiday, obviously we did not celebrate this day when I was growing up. 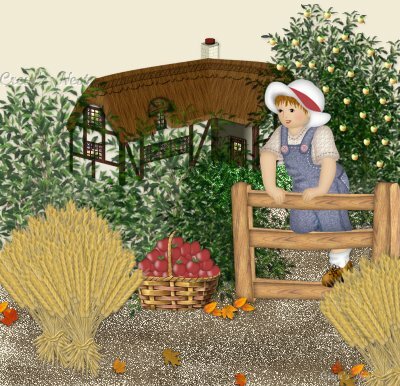 But we did look forward to the festivities of Harvest Festival time. While the changing times and technology have eliminated the original purpose of this holiday, you can enjoy a humorous look at this celebration via this article in The Telegraph or, for a more serious discussion, this article. There was something so wonderful about this time of year that centered around cooking, glowing hearth fires and the desire to give to others who were less fortunate. When we were kids our schools would arrange collections of food items to be distributed to the elderly and families who were less well off. In retrospect I wonder if these “gifts” were given with sufficient sensitivity for the recipients but for us kids it was certainly a good lesson in learning to think of others that I hope we carried with us throughout our lives. Harvest Festival and Bonfire Night are both good distractions to the onset of fall and the long winter ahead in England and, on both occasions you will find plenty of mulled wine and spiced apple cider to warm you. We wish you a Thanksgiving holiday full of fun childhood memories, delicious food along with a glass or two of your favorite beverage, gratitude for your good fortune and the ongoing desire to help those less fortunate. This entry was posted in Uncategorized and tagged guy fawkes celebration, guy fawkes day, guy fawkes holiday, harvest festival, harvest festival in the UK, thanksgiving celebrations, thanksgiving holiday. Bookmark the permalink.